You don’t need to wait for Christmas to gift someone special with the best present they have ever received. Every time I have to buy a present I always want it to be really appreciated and useful and this is why I normally investigate on what the person needs or would really want to have. 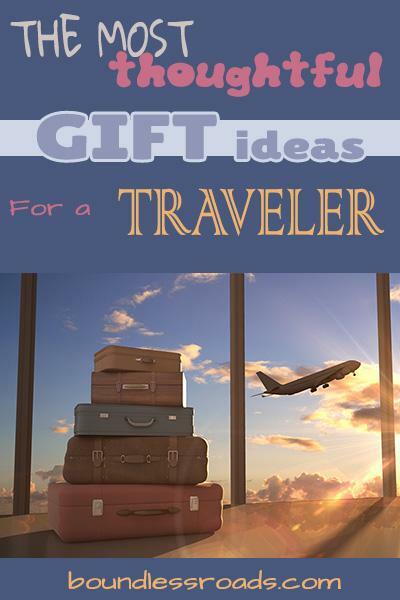 Since I love to receive presents that are related to my travels and useful to what I love to do, mainly photography, I thought I would help you by creating a list of my favorite stuff, so as to help you choose a gift in case the receiver is a serial traveler like me. I hope it will be useful. 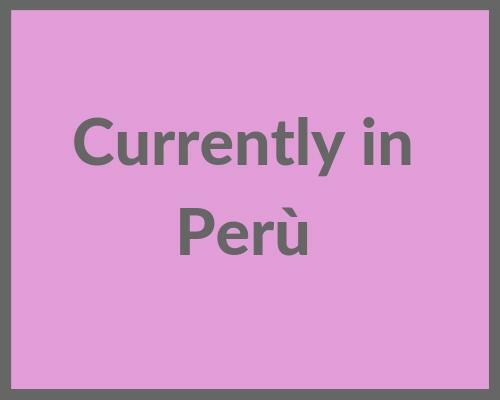 If you don’t find what you are looking for, please let me know and I will do what I can to help you find a great idea for your friends/family or partner. I’d love to do that. This is the biggest of the Lowe Alpine back pack – If you are small and tiny this is probably not for you. As it is important to have a good proportion between your weight and what you are carrying in order to avoid injuries. This is what I have and my favourite of all. If you click on the image you will get to the Amazon page where you can see all the different parts. The bottom part lays on your lower back so as to take off half of weight from your shoulder it it distributes through your body. You will feel much lighter when you have to walk. This one is very fancy for women and a little smaller than the previous one. Nylon-Women-specific design. Antigravity back panel uses lightweight mesh from the top of the back panel to the hip for light weight and maximum ventilation. Antigravity suspension provides exceptional load transfer and maximum comfort. 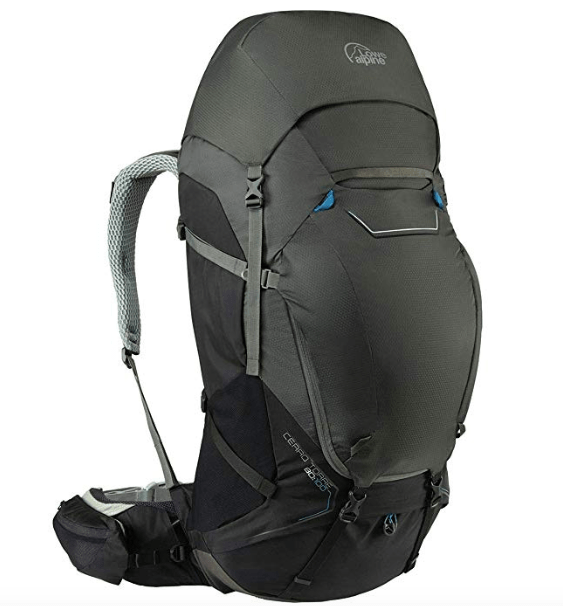 Adjustable harness allows the user to easily change the torso length of the pack. Product Dimensions: 22″H x 14″W x 9″D. Volume: 2807 in3 / 46 L. A zippered top accessory pocket is ideal for easy access to liquids and other frequently needed items. This is my carry on, actually the new version of what I have and I love it. It’s super light spacious and comfortable to carry. Body is made out of both 70D and 100D nylon Mini Shadow Check. 210D nylon block dobby bottom and accents. 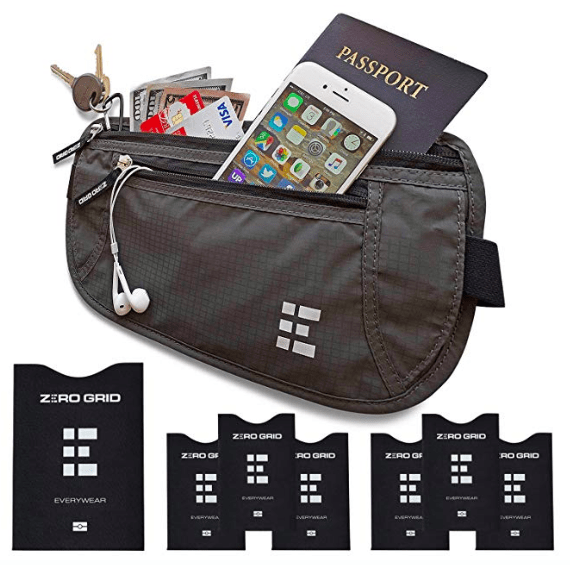 Dual zippered hip belt pockets give you secure storage for essential items. External hydration sleeve added to the back panel streamlines refilling and guards against spills. Load the main compartment through a top drawstring closure. Adjustable torso-length harness matches a range of body types for a closer, more custom fit. When I saw this video I went crazy! 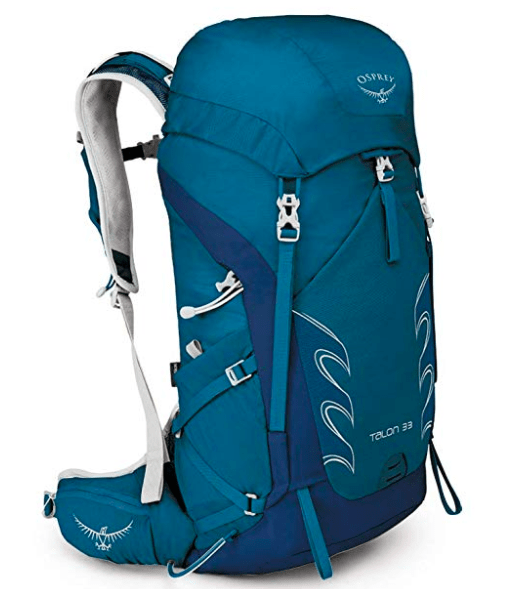 I love osprey products, they are lighter, fancy and with great colours. 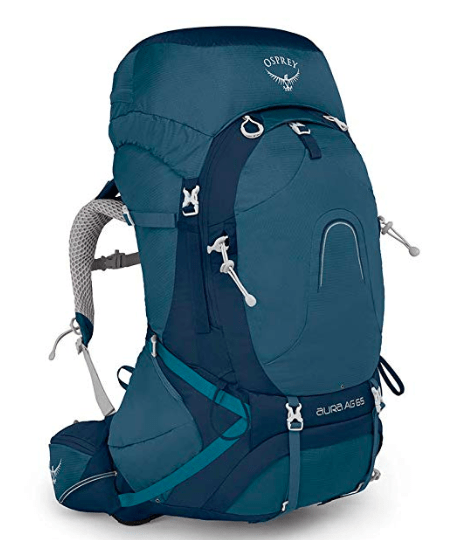 I was actually torned between Osprey Backpack and Alpine Lowe and I chose the second because it came in a bigger size and I still loved the style. I was very happy at the end. As for the Accessories I wanted to buy everything contained here. How to organize your backpack in one single video with so many colorful and practical zips and containers. Ideal for pro-traveller who keeps packing and unpacking. Check it out or follow this link to shop..
Four interior zipper pockets and two slip pockets. One exterior zipper pocket. BPA-, phthalates-, and lead-free durable thermoplastic polyurethane (TPU) construction is both flexible and resilient. Made with certified food safe materials in accordance with FDA and EU regulations. Magnetic clip attaches hose to sternum strap. Flexible ¼ in. hose that’s kink resistant and allows for a faster flow. Open slider hook works with webbing loops for efficient upright hanging in your pack’s reservoir sleeve. Capacity – Two Main Parts for Camera . More Than 2-4 DSLR and 4-5 lenses,15.6 laptop , allows for instant access to your DSLR and accessories. 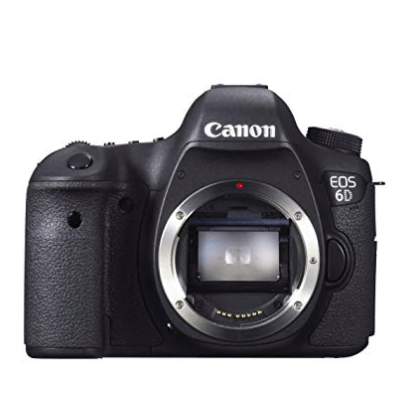 Compatible with many DSLR cameras and lenses. Dimension : 23 x 13 x 10 inches. The bottom Camera Shoulder Bag is included in the package . Keep your camera gear secure and in place while you hike, bike, climb, snowboard or run. Protect your gear from the elements. Here is my baby! I don’t go anywhere without it. For me it’s not a trip if I don’t take some shots with my beloved Canon 6D. Of course there are many other great cameras but this is what I love and this is why I am sharing this. here below the lenses I am using and the ones I am going to purchase soon. This particular lens is perfect when you do portraits and when you are doing street photography as well, especially in poor neighborhood where you don’t wand to carry a bulky camera. Big lenses can intimidate people. I love, love, love this lens. It’s expensive but worth every single penny, if you love landscape this is an amazing grand angle especially used in the Canon D6 mentioned here above which is a full frame camera, it’s the best combination to shoot spectacular portraits. I have the previous version (the II), but it’s still great. However, since you are buying a new one, it’s better to get the latest model. It doesn’t need a description. It’s in such high demand that it is now on request. Book yours here. It’s a great deal since I have paid the same price for the older version. Go Pro 5 has more defined resolution and 10x instead of 8px. Now the GoPro 7 came out but unless you are a professional and have specific needs that the 5 doesn’t satisfy, this one works just fine. The design is better with a built-in waterproof shell. If you are into photography and you want to rely on your phone when it is not convenient to take out your camera, this is for you . I personally don’t use it because I like to use my camera most of the time. But I thought I would include it for the sake of information. This is what I am dreaming of as well. 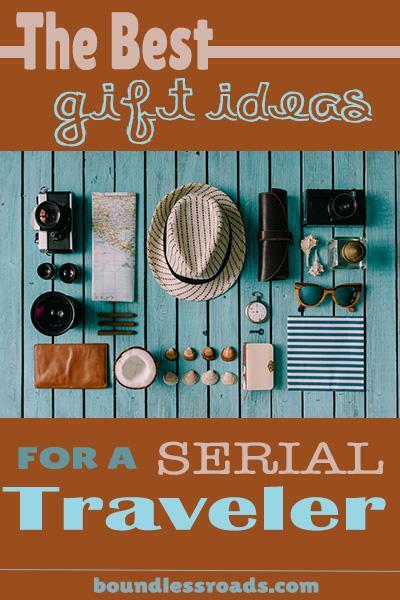 For sure if your traveller friend loves to document his/her trips this is the perfect gift. EST FOR SKIN CARE & ANTIBACTERIAL: 100% microfiber high quality microfiber made it totally smooth and compact,more soft on your skin.Eco-friendly, no faded,no smell. 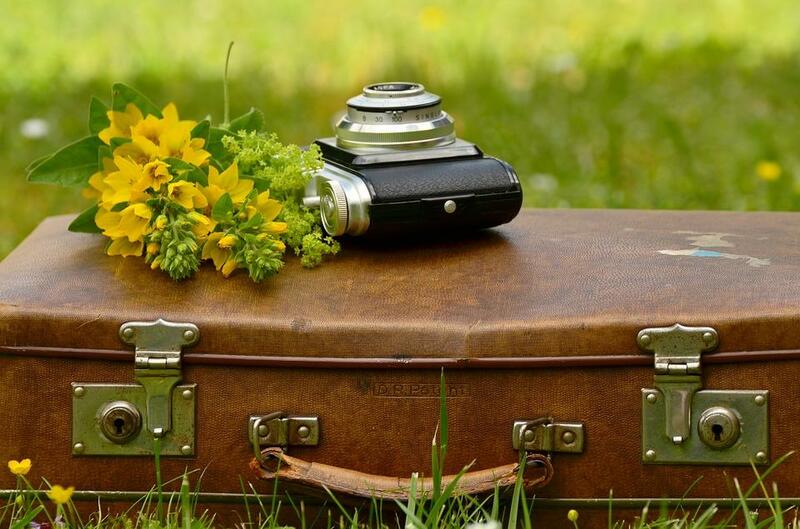 This is the cheapest and most valuable item, especially if you are a stranger to packing light. It helps to compress your clothes and create more space. For as much as we love books, the kindle comes very handy when you travel as it’s light small and it can hold thousands of books. It makes a great gift idea. 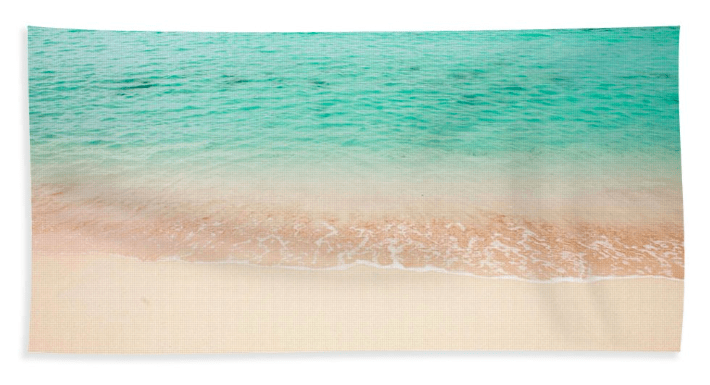 This is from my artwork page where you can customize amazing products with your favorite pictures. You can chose the pictures and then pick the object that you like, it can be a persona item, or a house decor, a frame. This one comes really handy when you travel in nature! Despite of the practicality of technology I always like to have my notebook and take written notes while sitting in cafes of a new place. It makes me feel like a real writer. I just found out about this and I am going to buy one for me right away! This is very practical too, if you like to travel light. I always use my photography bag as a document holder because I bring it always with me. But this would be a great complement. Buy this present and they will love you for ever! Super super useful expecially if you travel for hours by bus or if you use the phone for maps and videos which consume a lot of power. I am not suggesting this brand particularly. Any brand would work.Just make sure you check the reviews. 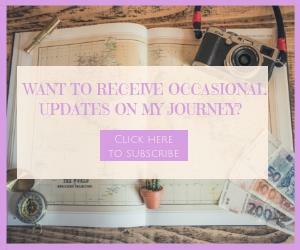 Travel insurrance is super important when you travel expecially for a long term. Ho matter how careful you might be, you never know what can happen along the way. 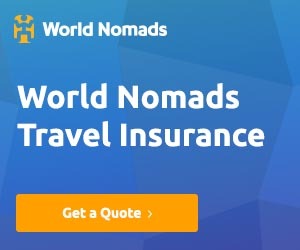 I am using World Nomads because my long term travellers friends have reccommended it too me, as very professional and fast problem solver. Therefore I am totally confident to reccommend it to you as well. It would make a very useful gift! Nice Article! Love the usability stuff!